Feeling the winter blues in Florida? 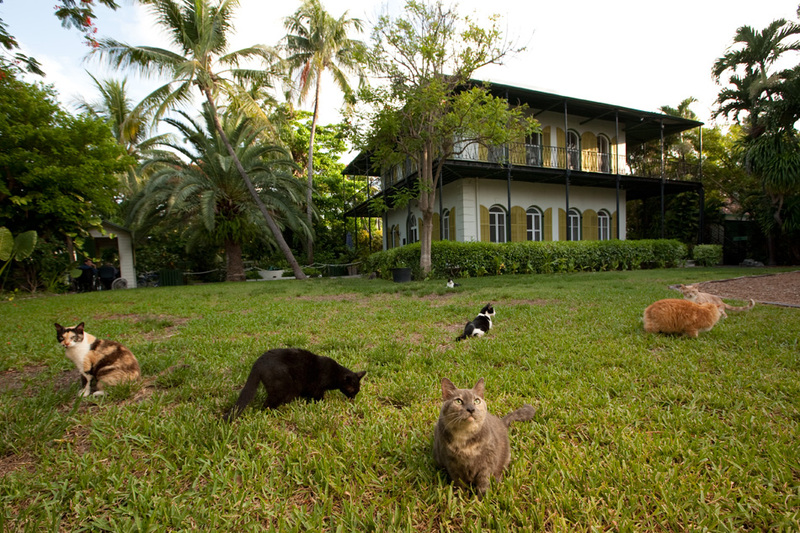 Head south to Monroe County, cross the Seven Mile Bridge into Key West and take a tour of the famous 19th-century houses. The houses are often referred to as “Conch,” a term that originally meant native Bahamian. Today Conch is used to describe the multiple wooden homes along the city’s bustling streets. 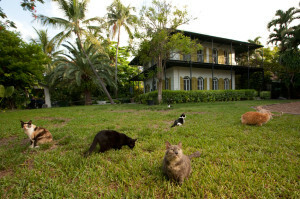 Key West houses for the most part are considered conservative and simple in architectural design. 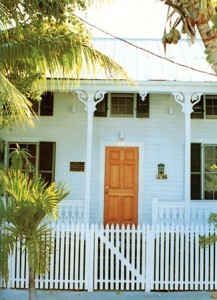 There are only a few “pure” examples of Key West architecture. The evidence of other 19th-century architectural styles appears on many of the structures, however, mostly in decoration. Most Key West houses can be classified as Classical Revival. The style is adapted from the Greek Revival period in American architecture from 1820 through the Civil War. 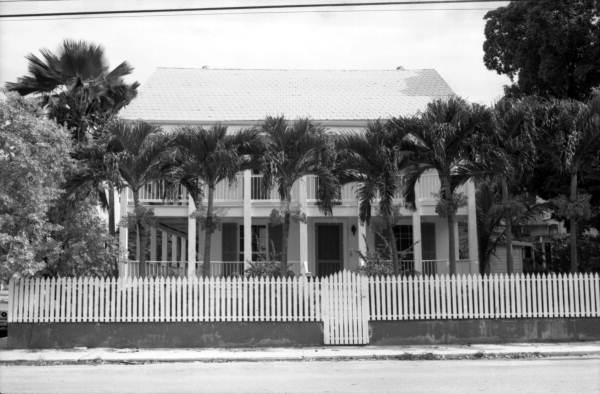 However, in describing Key West houses, the term Classical Revival is more appropriate. In Key West there are almost no Greek style round columns. Instead square columns or pillars are prevalent. Classical Revival homes are usually rectangular with the roofline either perpendicular (temple style) or parallel to the street. Floor plans consisted of a center hall that divided the house into two rooms or a side hall arrangement with a hallway leading to the back and two or three rooms opening into it. Porches, which are mostly formal and symmetrical, are under the main roof or extend out from the wall of the house. Porches included three or five bays (the area between columns, usually containing either a door or a window). 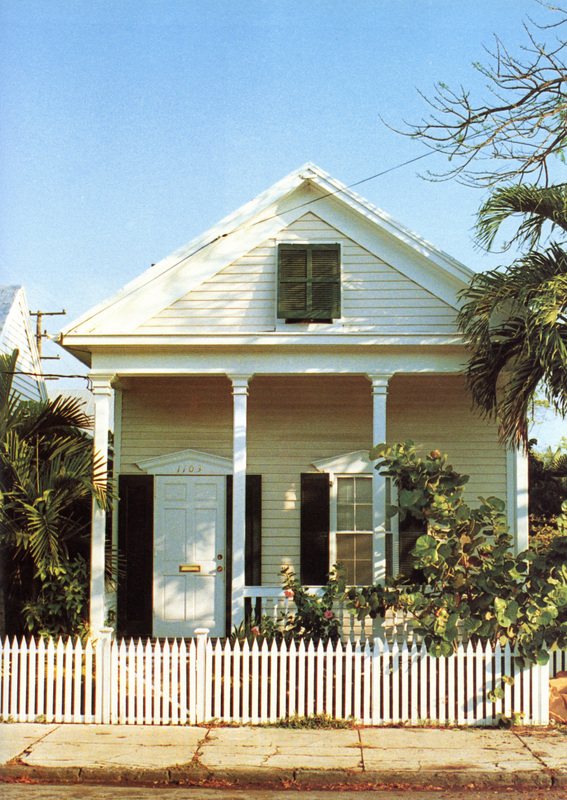 Eyebrow houses, or more accurately Hooded Houses since the windows are not eyebrow windows, are similar to Classical Revival except with a unique modification found in Key West houses. The windows of the upstairs rooms have been partially covered by the sloped roof, making an eyebrow effect. Both Classical Revival and Eyebrow are also suggestive of the Victorian era architecture; elements of the latter style are often mixed in. 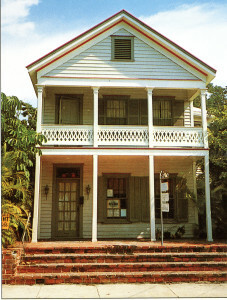 Along with Classical Revival, Vernacular Houses are the most prominent in Key West. Vernacular homes, similar in construction and materials to Classical Revival, are plain in structure with few or no decorative details. Porches are often attached (either on one, two or three sides) with the porch roof extending from the front plane of the house. The structure’s design is rectangular and simple. Shotgun Houses are the largest category of Vernacular Houses. 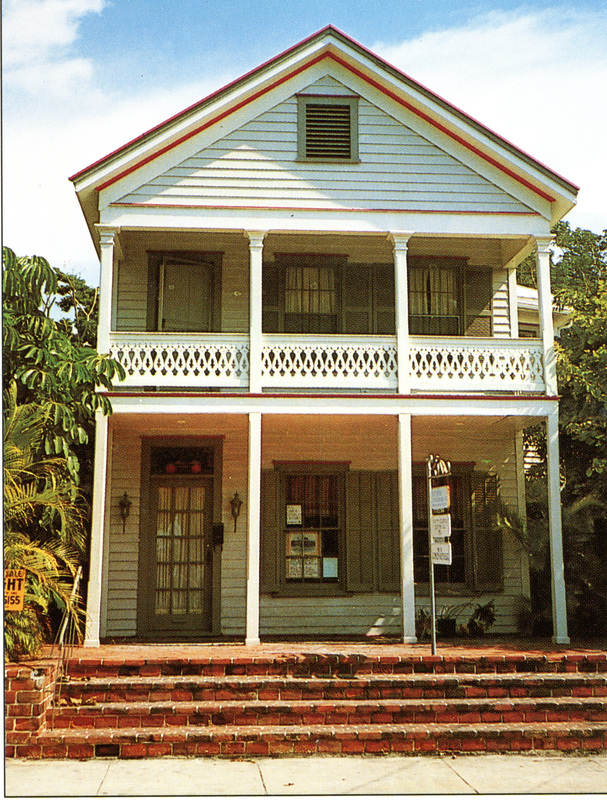 These homes were built by cigar factories to house their workers in the 19th-century when cigar-making was the leading Key West industry. Floor plans consisted of two or more rooms, usually three, one behind another, with an opening hallway so that if a gun was shot through the home the bullet would go straight through without hitting a wall; which is why these types of structures are given this name. Exterior structures are similar to Classical Revival but the front door is to one side of the façade. There is minimal decoration and homes were economical. The houses vary in size and construction; the smaller homes were made for the cigar-makers while the larger homes were remodeled and purchased by the wealthy. According to architectural historian John Michael Vlach, the origins of the Shotgun House can be traced back to West Africa and Haiti and is a modification of the Creole cottage. These homes were prevalent in Louisiana and across the South. Victorian Style architecture, the name deriving from the reign of Queen Victoria, was popular in the United Kingdom and the United States from 1860 through 1900. 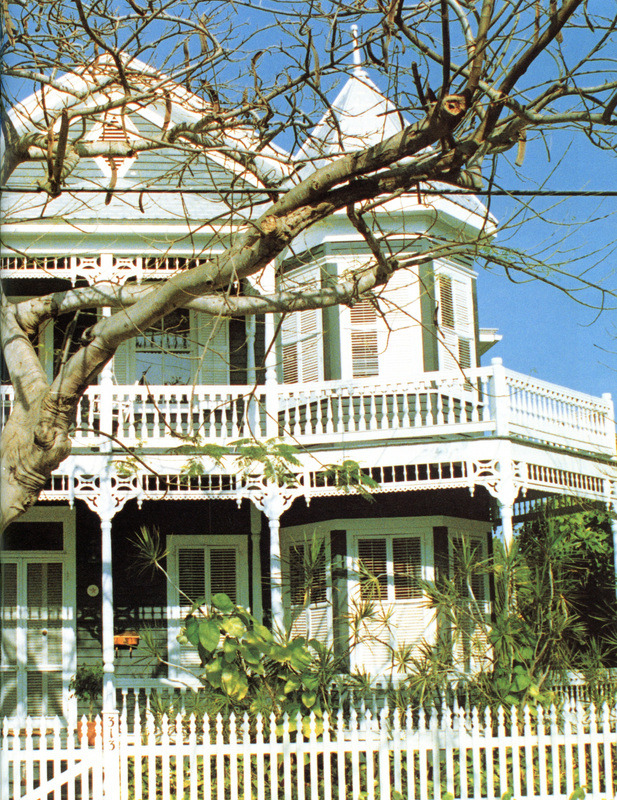 In Key West, the houses are not truly Victorian but rather incorporate Victorian decorative elements to existing structures. The houses, which were designed from plans in published architectural books, are asymmetrical with different planes and added extensions, bay windows, and porches. 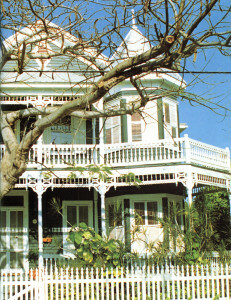 Key West Victorian Style Houses can be classified into various categories. Queen Anne Style (1880-1900) Houses included factory made, mass produced items such as windows, doors, and pillars. A structure’s surface may have several textures such as clapboard, patterned wood, brick, stone, and patterned wood shingles. Fine decorative detail work was emphasized on the porches. The overall effect was a picturesque quality. 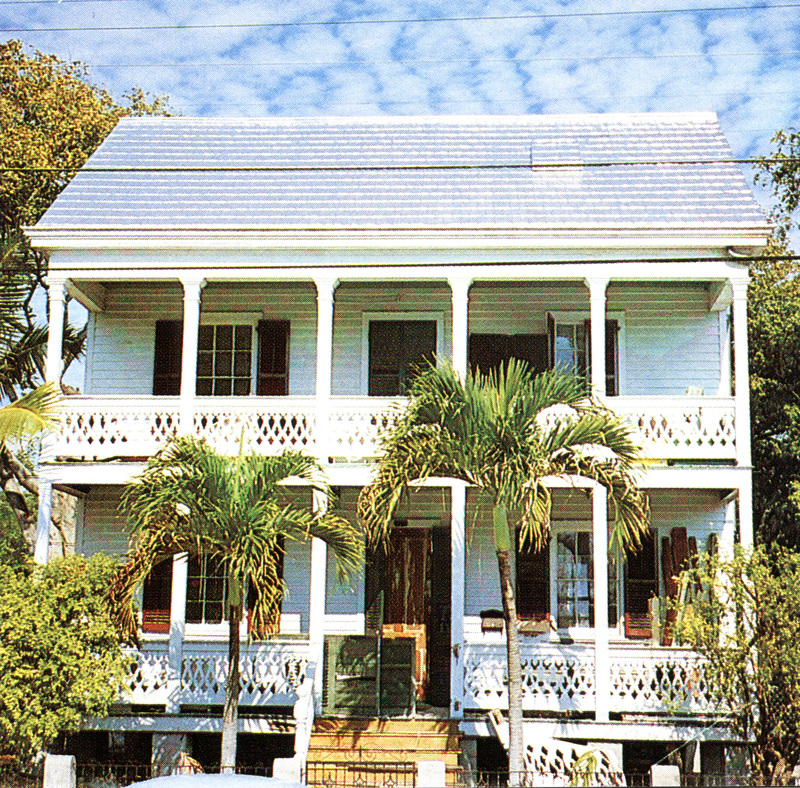 Virginia and Lee McAlester have coined the term “Folk Victorian” that specifically applies to Key West houses. The style mixes Queen Anne Style elements (verticality, towers, and multiple decorative embellished porches) and touches of Gothic Revival Style (steep pitched roofs) or Italianate Style (very low-pitched roofs). The Bahama House is considered to be the most authentic Bahamian house in Key West. Originally built in Abaco but was disassembled and transported by a schooner ship by Captain John Bartlum, a world-renowned shipbuilder, in 1847 and rebuilt on the outskirts of town before streets were placed. 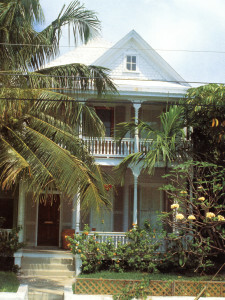 This is one of two houses transported from the Bahamas; the other is the Richard “Tuggy” Roberts house next door. The structure, built of New England white pine, is symmetrical and compact. Common elements of Bahamian houses are low ceilings. For an added bonus, take a nostalgic trip back to Key West in 1946 and enjoy a stroll down Duval Street and Fleming Street during the Shriners Parade. Please refer to Alex Caemmerer’s The Houses of Key West (1992) for a history on Key West residential architecture. This entry was posted on Thursday, January 23rd, 2014 at 8:39 pm and is filed under Architectural Styles, Bahamian/Conch, By Location, Classical Revival, Key West, Preservation, Vernacular, Videos. You can follow any responses to this entry through the RSS 2.0 feed. Both comments and pings are currently closed.